inner decoration of this cleanser is in accordance with the Taiwan humid hot climate, and latest formula developed by automobile in the patterns of cleaning agents. The decontamination, and wax super strong. 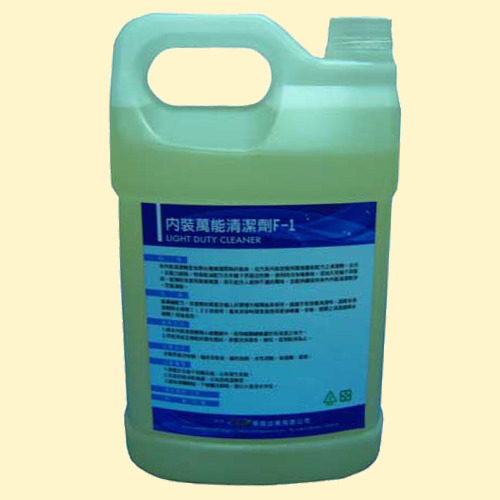 Special degreasing formula and non-ionic surfactants, used without choke, nose and taste. The addition of natural orange extract, can prevent improving the wet, musty incurred another person feeling unwell. And sustained within the contents clean, fresh air. highly concentrated formula, depending on the actual needs and personal habits can be diluted before use. When recommending regular maintenance cleaning, detergent diluted with water 1: 30 times. Old car beauty directly when using liquid sprays. Leather chairs, plastic cleaning 1 time times diluted with water for later use. 1. put the inner decoration of the detergent in spray cans, using spray cans spray to clean places. 2. clean and tightly wrung wet cloth and repeat washed a damp cloth, wipe. Until clean. a variety of surfactants, orange peel extract, alkaline additives, water-based solvent, penetrating agents, flavors.